Safe and Loved in their New Forever Home! While we were so sad to learn that this bonded pair lost their human Mom in February 2019, we know that she is watching out for her fur-kids because they landed quickly in a new Forever Home where they are cherished and loved. 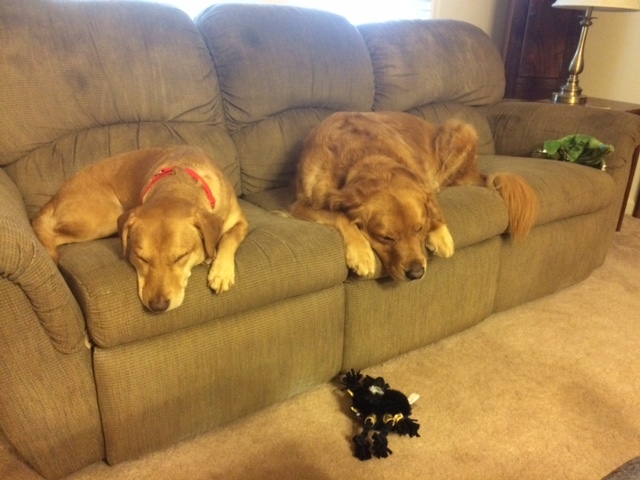 Here they are enjoying the good life in their new home – lounging on their new Minnie and Koda couch! 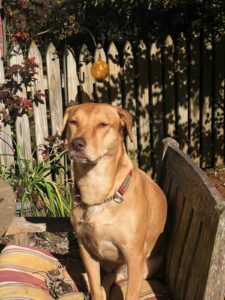 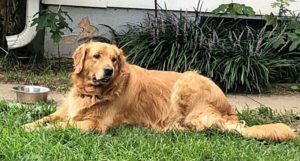 Koda (Golden Male – age 6) and Minnie (Mixed Female – age 5) originally came to GoldHeart as youngsters, back in October 2014 (rescued from a shelter in South Carolina) and landed together in their first wonderful forever home.